Down with an arm injury, the author spends a day admiring her hero, Cyndi Lauper. Yet another swath of severe thunderstorms rolled over Tampa Bay yesterday evening. Bobby and I napped as our lake saturated. At 7:12pm, the sun burst over as if it was high noon. The ‘all clear’ signaled us down into the yard. I stepped forward and Bobby advanced, then perked his ears and raised an alert paw. Bobby toed forward suspiciously, then stopped, and when he was certain the approaching person was a familiar, he torpedoed straight towards her. I quickened my steps, knowing Bobby’s signature move of hurling his body up and into you like a four-legged Bouncing Betty. Sure enough, he swirled and smacked into my dear neighbor, a 94-year old East German woman. “Suss! Suss! Mein klein hund,” she insisted, flatting her hand towards his black nose. Bobby sat on his hind legs and sulked. She shrugged it off. “So, have the Muses been kissing you?” She loves to hear about my progress as a novelist. Sure. “Fur zwei Tage, mein Arm bist kra.” My broken German is further complicated by mixing her East German dialect with my Bavarian. Not sure what happened, really. I straightened my right arm and felt a rubber band snap around the outer meat of my forearm. Great. I’ve possibly damaged the extrinsic muscle that controls my middle to pinky finger. For writers, this is a sidelining injury, akin to RGIII’s knee issues or Kobe Bryant’s tendon issues. Although I’m not getting paid a bazillion dollars to move my hand. So I took to reading something that wouldn’t require note-taking. Hello, Vogue magazine. I rested my right arm over my belly as I flipped the pages with my left, and lo and behold. 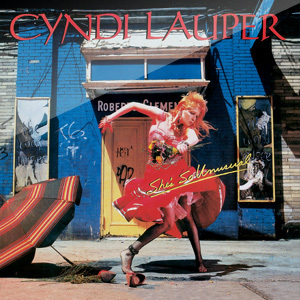 A story about the demigod, Cyndi Lauper. This year marks the 30th anniversary of the release of She’s So Unusual, an LP I owned, I played the dickens out of, I danced to, I memorized. Cyndi is boss. A perfect hero for a kid constantly on the move. She’s So Unusual not only rocked, but was my rock, an solid soundtrack for when my identity wasn’t too clear. At 60, she’s the first woman to win a Tony for Best Score on her own. And she’s still runnin’! The unstoppable, the diverse, the inimitable artist I admire. I typed this quote by Cyndi in my Inkpad as a reminder: “Contribute something to the world that gives ’em a shot in the arm.” My approach to I Blew Up Juarez is deliberately unusual, because I’m unusual, and this character does unusual things that nonetheless, offers a question regarding community. I enjoy celebrating uniqueness. Same is boring! I learned that from Cyndi Lauper. My Muse. Thanks for the kisses, Cyndi. 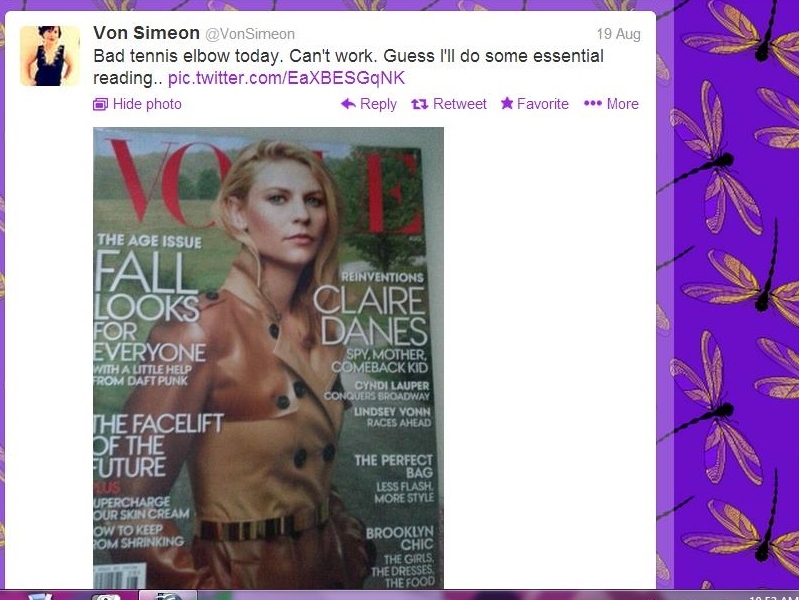 Posted on November 1, 2013 October 15, 2013 by Von SimeonPosted in St Pete PatchTagged Cyndi, cyndilauper, Kobe Bryant, Muse, Robert Griffin III, She's So Unusual, Tampa Bay, Tony, Vogue.